Posted on February 24, 2017 by Tom Manoff	in Uncategorized and tagged featured-left, featured-slider. Steven Osborne on practicing, recording, and interpreting the written score and the music of Debussy, Rachmaninov, Tovey and Tippett. MANOFF: I believe that many potential professional pianists do not succeed because of something seemingly mundane: they never learned how to practice efficiently, and, in some instances, developed practice habits that deepen problems rather than solve them. Would you describe your practice routines and philosophy? OSBORNE: I think this is one of the most important issues an instrumentalist has to deal with. In the simplest terms, when I practise I try to keep my attention coming back to how tense or (hopefully) relaxed my body is, and what my state of mind is. The tricky thing is that these two are closely related: physical tension negatively affects one’s state of mind, and conversely when one is anxious about a forthcoming concert, or heavy workload, or indeed the argument you just had with your wife (very rare, of course! ), then it automatically creates physical tension. So it’s easy to go into a downward spiral where one can become very uncomfortable and even develop pain. I see practise at the piano as a process of removing physical and mental obstacles to allow the music to emerge as freely and naturally as possible, but the work which creates the intense sense of engagement with the music always occurs for me away from the piano, reading through the scores, singing them to myself. For some reason I always learn more about the music doing this for 30 minutes than I could working at the piano for a month. The piano sound on your recordings with Hyperion is especially rich. While it starts with your actual sound, I would think that you are working with a very fine production team who capture your sound. What kind of relationship do you have with them, and, in your experience, how important is such a team –from producer to engineer ? You’re right to think beyond what the performer is doing at the instrument. Certainly the sound engineer plays a crucial role, finding the right compromise between detail and richness which best suits the music; a significant misjudgement in this can seriously affect the impact of a record. This is a discussion which happens between the engineer, the producer, and myself at the start of a recording session, and it can certainly take an hour or more of recording and adjusting microphones to find just the right sound. In the experience of making a record, though, my interaction is much more with the producer, and I’ve been lucky enough to have made all my records with a great friend, Andrew Keener. I can’t overstate how much he brings to our records: he has fabulous ears and I trust him to hear both problems of detail and also larger structural issues; he is very savvy at getting the best out of performers in simple ways like knowing when it’s time to have a break, or when it might be worth going back to that one bit that you never got quite right; above all, though, the comfort I feel around him is enormously helpful because making a record is a very exhausting process which can make one elated, frustrated, sore, self-doubting, despairing, elated again, and so on for three days solid. To have someone you can trust with all of that excess emotion is worth its weight in gold. I was surprised by some of the lovely music in the Tovey Concerto, and embarrassed that I really knew nothing about his music. Perhaps were I English that wouldn’t be the case. You’ve recorded quite a few composers whose music isn’t especially well-known. Which composers (not just those you’ve recorded) deserve more audience attention? Do you have any such projects coming up? Honestly, if you were English, I think you still wouldn’t have known any of Tovey’s music! It’s strange the way fashions in music go. His crime was probably being too successful a musicologist, and his music is basically never played in the UK even though it has very fine qualities. Although I’ve made some records of little know works I don’t actively go out looking for them. Kapustin’s jazz-inspired music I first heard in the background a friend’s house while playing snooker, and most of the other unusual stuff I’ve done has been suggested by Mike Spring at Hyperion, who has an encyclopaedic knowledge of the piano repertoire. The one composer I passionately feel has never quite been given his due is Michael Tippett whose music, though idiosyncratic, encompasses more depth and variety of human feeling than all but the greatest of 20th century composers..
You have also recorded a CD of Debussy’s Préludes. These have somewhat different harmonic designs than Rachmaninov’s (at least for me) — especially in the manner the harmonic plans help animate the form. Were there differences in your musical approach to these different sets of Préludes? To describe that is difficult, like trying to explain the intimate aspects of a friendship. Laying aside the obvious stylistic differences, I think for me the most significant difference is that I feel Rachmaninov’s music is essentially about himself and particularly his terrible sadness in life, whereas with Debussy the emotion is often more at a distance, and the pieces can be as much representative (of a picture or story) as they are expressive. That’s not to say the music isn’t moving, but that it’s not so clear that Debussy is putting down on paper the emotions he was feeling at the time. With Rachmaninov, it feels to me that he couldn’t help but be confessional. So naturally, these instincts put me in very different frames of mind when playing the two composers. I feel an element of detachment (but not coldness) is often necessary in Debussy whereas Rachmaninov forces me to play with the greatest emotional force I can muster. Considering your interest in jazz, I’m interested in some of the jazz players to whom you listen, and any who influenced you as an artist. I listened a lot to Miles Davis and Bill Evans in my 20s, and more recently Kenny Wheeler, Oscar Peterson, Bobo Stenson, Brad Mehldau, Chick Lyall, Brian Kellock, Keith Tippett and others, but the biggest influence was certainly Keith Jarrett, to whom I listened obsessively all through my college years. Because of his playing I started experimenting with free improvisation, and that exploration taught me things about sound and structure that have been enormously helpful to my classical playing. Free improvising forces you to take complete responsibility for the music, whereas in classical music it can be tempting to hide behind the written score: “The composer wrote staccato here, I’ll play staccato even though I feel it sounds better legato”. 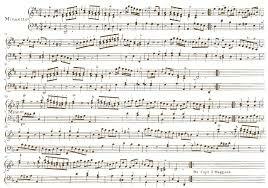 I think a classical performer needs to have the courage to disagree with the composer if his insticts lead him strongly in another direction; for me, excessive respect for the written score is as bad a fault as a lack of interest in the composer’s markings. But I know colleagues who profoundly disagree with me on this! I think the crucial question for a performer is, “How can you reveal the music as vividly as possible?” I believe to do that you need a balance between an intensive study of the musical score and a profound examination of your own feelings about the music; grappling with the differences between your instincts and what is on the page is one of the most stimulating parts of getting to know the music. The only works of Tippett’s that I have known are A Child of Our Time and The Midsummer Marriage. The oratorio seems a difficult piece stylistically for singers, and, in my opinion, there isn’t a convincing performance on CD. The Midsummer Marriage I know from a fine BBC production in the 80’s. But your Tippett release has been quite a revelation, easily the finest single recording of his works I have heard thus far. You are especially able to reveal the composer’s lyricism within sometimes dense structures. Tippett’s instrumental works strike me as more comfortable stylistically than his vocal music. Tippett seems especially “pure” as a composer in instrumental works, even as he moves through various “outer” styles to support a very refined and focused artistic vision. Nothing pretentious despite the complexity at times —especially the counterpoint — and nothing fussy. I’m not sure how many high-caliber recordings of his works exist. Perhaps this contributes to the neglect of his work. Can you suggest some other Tippett recordings? I think you’ve hit more than one nail on the head. I find all the operas problematic except for King Priam, which is wonderfully pure and bracing. There is some marvellous music in the others, particularly The Midsummer Marriage , but Tippett all too often got bogged down in what he wanted to say to us (and being the humanitarian he was, he always had a lot to say). Ironically, I think that the lack of political or psychological messages in his instrumental works led to stronger music which communicates more potently. Having said that, it’s very difficult music for the performer to get to grips with both technically and conceptually – it’s unfailingly awkward to play and Tippett’s musical intention is sometimes very obscure. So probably one reason there aren’t that many good recordings of his music is that not many people want to invest the enormous energy needed to learn his music. I had to do it though; I was obsessed (and still am) with his musical world. Pretty much anything with Sir Colin Davis; particularly The Midsummer Marriage and the Piano Concerto with John Ogden (Ogden’s 2nd piano sonata is amazing too). The Lindsay Quartet doing the 5th quartet, one of Tippett’s greatest works I think and sublimely played. David Atherton and the London Sinfonietta in King Priam. Solti and the Chicago Symphony in the 4th Symphony; an enormously rich, if sometimes puzzling, work. Sir Andrew David and the BBC Symphony Orchestra in The Mask of Time. In some ways this a preposterously ambitious work which can’t sustain the weight of its aims: what other composer would dare to critique the entire history of human civilisation in a single work? It’s uneven, but it contains some truly great music. St.Martin-in-the-Fields doing the Concerto for Double String Orchestra – a childhood pleasure! I’m not sure if the recording I knew is still available – I thought it was directed by Iona Brown but I can only find it with Marriner conducting the orchestra; this version is good but the recorded sound is too resonant. I found Tippett’s life fascinating and relevant —especially his politics. Clearly, his beliefs and the events of his time influenced his music. How has Tippett’s life affected your sense of the music, and —more broadly— to what extent does knowledge of a any composer’s life (if we know of it) affect your interpretations? Instinctively I’m not very interested in the lives of most of the composers I play: I’m drawn to music that grips me and putting across that inner conviction is my main goal as a musician. If I’m honest, I’m slightly sad about this lack of curiosity – one’s perspective on music can only be deepened by knowing about a composer’s life; but then there are only so many hours in the day and generally I’d rather be practising or thinking about music than reading about it. As if happens, with Tippett I actually read most of his writings before doing the recording. They are a fascinating mirror of his music – idiosyncratic, eclectic, yet full of feeling and conviction. Whether that knowledge affected how I played the music is doubtful; however it certainly increased my affection for the man. There are other cases where I’d say biographical knowledge of a composer is very helpful, for example Schubert’s obsession with Beethoven and the reaction in his music to Beethoven’s death, especially in the C minor sonata. But even here, I’m not sure that knowledge significantly changes my interpretative instincts. Lastly, can you mention some of the music we might hear from you in the next few years? In terms of CDs, I’ve got some Beethoven sonatas coming out in the spring, Schubert duets with Paul Lewis at the end of the year, and the complete solo piano music of Ravel in 2011. Longer term, the main big project is performances of the complete Schubert piano sonatas, but that won’t be for 3 years or so. 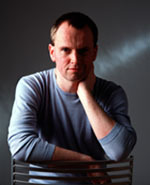 Steven Osborne’s extensive website includes all his CDs and tour dates. It also plays excerpts from his recordings.